The Enterprise Desktop Alliance recently surveyed 260 IT administrators in the United States to learn which computer environment they believe is the cheapest to manage, when it comes to Macintosh vs PC. Their results showed that Mac’s cost less to manage than PC’s, according to 65% of the IT admins, with 19% of them saying Mac’s and PC’s are equally cheap/expensive and 16% said PC’s were the cheapest. They also learned that Mac’s are cheaper to troubleshoot and requires fewer help desk calls from the users. Even though Mac’s are still more expensive to buy than PC’s, it’s the total cost of ownership that eventually makes Mac’s the cheapest choice, for 65% of the IT admins surveyed. Being the go-to guy in our company when something doesn’t work on the computer, I’m definitely providing less support and troubleshooting after around 50% of the office started using Mac’s over the past few years, compared to when we were using a combination of Sony, Dell and Acer. Even new Mac users require less of my time than they did while running Windows, despite they having several years of experience with Windows. Yep, I’m a happy Mac camper these days. I can see that being true. The Macs cost quite a bit more up front, but it doesn’t take a lot of admin time to make up the difference. At our company the majority of people use Macs, I’m the odd ball out that uses a PC but we have few problems and when we do it is usually a problem that is unrelated to either a Mac or PC issue. It’s usually a network issue or something like that. I would still consider a pc over a Mac since I am already used to it. .-= Palabuzz´s last blog ..Watch Telephone by Lady Gaga and Beyonce =-. I can attest to MAC being cheaper than PC for COO, I have had to replace my hard drive and mobo in my tower pc but my 2 year old MBP just works without any problems other than OSX upgrades. My experience has only been with PC’s, but I tend to buy high end components that have given me trouble free performance over many many years. If you buy entry level PC gear I feel you might have some reliability and/or quality issues, but if you buy quality equipment you should be fine. There is nothing more fun than selecting the components for your own custom tower. That is something you can not really do with a Mac…. Hi “Net Age” – please note that if you want to have a link to your website, you’ll either need to use a real name (as specified in red font just above the comment area) or remove the “web design” part of your name. I don’t mind it buing a company name, but I don’t want keywords in the Name field. That’s not why I’m offering “do follow links” – it will be exploited by too many. Apologies Klaus, I will use my regular name as before if that is OK? I was typing without thinking. Either your name, Jaq, or “Net Age”, is fine. But “web design” are considered keywords, so please don’t use that. With Apple computers, I tend to notice that things either work really good or there is a total system meltdown. When it comes to hardware, some Macs are harder to work on then others hence the more expensive price to repair but for the most part, I agree that Macs run a lot smoother than PCs. Apple has a strict list of hardware that it certifies which pretty much guarantees that it will work with the system. With PC systems, there is a hardware free-for-all so many times, there will be a hardware conflict with some software running on the system which creates problems. Having the pleasure of working on both Apple and PC computers, there are definitely more software related issues with PCs and even though PC repairs tend to be cheaper, the frequency of problems is what will get you. So…. I agree that a Mac is cheaper in the long run. Mac’s are cheaper to troubleshoot and known for qualities , that’s why majority of people use Macs these days. Grammar notes: Apostrophes are for possessives or contractions, NOT the plural. So Macs, not Mac’s. IT Pros, not IT Pro’s. Also, MAC in all caps = Media Access Control. Mac = short for Macintosh. Thanks for the heads-up, AJ. I don’t know what got into me when I wrote this piece, I usually get it right, but not this time (and even messed it up twice in the header, not so cool!). Klaus recently posted… Wrapup: Apples Back to the Macevent. OS X 10.7 Lion iLife 11 FaceTime Mac App Store MacBook Air. This is a good resource. Results seem to vary from other websites I’ve used. This seems to be pretty accurate. So if I’m reading this right, it sounds like this may be for an entire network of PC’s in a corporate environment, is that right? If so, do you think the results would be different for at home? 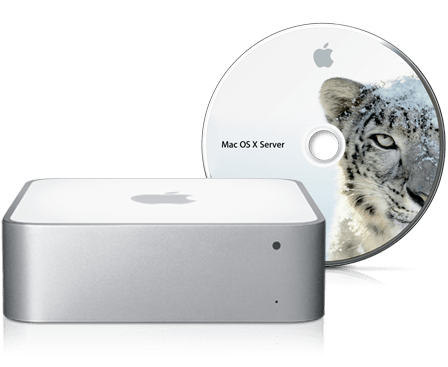 We’ve definitely heard how Mac’s do a great job with graphics, and probably half or more of the professionals in our industry (photography) use Mac’s. Like you mentioned though, it’s definitely more of an up front investment. Plus, we have software that right now wouldn’t be compatible. Maybe some day when we’ve got more money than we know what to do with – HA! Next post: iPad: 120,000 Pre-Orders First 24 Hours. $75,000,000 Revenue.